Fertilizer is almost always necessary these days, especially when you are growing in the same areas over and over again. Homemade fertilizer ensures sustainable agriculture practices, saves me money and cuts down on waste. It is also one of the safest options because then I now exactly what’s going into my plants. This is really important, especially if I’m growing things I want to eat. It’s easier than you may think to make many types of fertilizer, and in some cases, it just involves walking from your kitchen to your garden. I started out set on an all-purpose homemade fertilizer because it just seemed like the best choice and would ensure all my bases were covered, but it turns out that that’s not always the best option. There are three major components to good soil, and they are nitrogen, phosphorous and potassium; their chemical symbols are N, P, and K respectively. You can get fertilizers containing all three or those that just contain one or two. Which Homemade Fertilizer Should You Make? It is just as important to find out which components the specific plants you are growing need as it is to test your soil and see where it’s lacking. Gardening stores sell inexpensive soil test kits. I bought a few – one for each part of my yard and found out which areas were lacking in components. Then it was time to get down to business. Before we get started, keep in mind that it is always best to use rain water when making a liquid fertilizer. I also started out thinking fertilizer had to be a mixture of a few different things or manure, and I found out it can be, but not necessarily. Water from my freshwater fish tank could be used as a fertilizer on plants and in soil lacking in all three components. For plants that needed potassium, I would drop a banana peel or an entire banana in the hole when planting or position some peels just under the soil around growing plants. 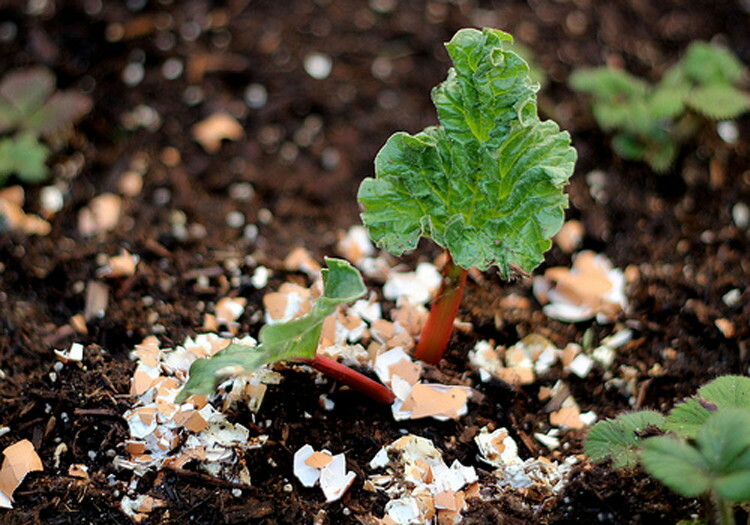 Eggshells are rich in calcium and have some nitrogen and phosphorous, so I dry those, break them up, powder them in my coffee grinder and sprinkle them around the garden. The natural calcium in soil is depleted with the growth of plants and needs to be replenished, and these really help. Grass is rich in nitrogen and phosphorous and provides some oxygen too. To make a tea for my plants, I fill a bucket all the way up with grass cuttings, use a couple of stones or bricks to weigh it down, then add water until it’s level with the grass, and let this sit for a couple of days. Each day I have to go out and stir it. After removing the grass and collecting the “tea,” I mix one cup of it with 10 cups of water and pour it in the soil around plants that need extra nitrogen. Two cups for small plants, four cups for medium size plants and six cups for large plants. Don’t let the grass and water mix sit for more than three days, and once you have your tea, use it within two days. Coffee provides nitrogen. After drying my used coffee grounds, I would use them as a mulch around plants that require more acidic soil. It’s important that the coffee grounds are dried before using them. Some homemade fertilizers need two or more days to brew, but this one is ready to use in a little more than one hour. 1 gallon jug with lid. 3 teaspoons instant iced tea mix/powder. 3 tablespoons 3% hydrogen peroxide. 1/4 cup crushed bones from your kitchen scraps; fish bones have the added benefit of supplying potassium. 1 eggshell crushed or half of a dried banana peel finely chopped or blended. Almost 1 gallon of water. Keeping the water aside, put all of the ingredients in the gallon jug, and fill it the rest of the way with the water; preferably rain water. Put the lid on the jug, and let it sit out in the sun for an hour before using. I water my plants directly with this fertilizer. This liquid homemade fertilizer has a lot of benefits, which you will start to see within a few days of using it, but some of its main components are nitrogen, oxygen, phosphorous, potassium and calcium. Manure is an all-purpose fertilizer since it contains potassium, phosphorous and nitrogen. You can use horse, cow, chicken, sheep, rabbit, and turkey manure safely as a fertilizer, and they also help to condition the soil. Just make sure you let the manure age and dry for six months before using it. Spread manure to a 1/4 or 1/2 inch thickness around plants. You can also mix it into the top layer of your soil in fall or winter before planting. Another method is to take a shovel full of aged and dried manure and put it in something like a straw bag and steep it in a 5-gallon bucket of water for as long as two weeks. Hold the bag of manure over the bucket until most of the water has drained out, and mix the manure water with regular water 50/50. Use this mix to water your plants and lawn. This list is by no means exhaustive, and there are many other recipes for homemade fertilizer. Please give these environmentally friendly recipes a try, and let me know how it goes. Please share any comments you have as well as any other homemade fertilizer recipes that have worked for you. Hey Buddy!, I found this information for you: "Homemade Fertilizer – How to Make Your Own". Here is the website link: https://backtofarm.com/homemade-fertilizer/. Thank you.